Kenny Nairn is a Managing Partner of the latest golf group in Florida – CFL Golf www.cflgolf.com and is one of the Golf Channels Lead Coaches. 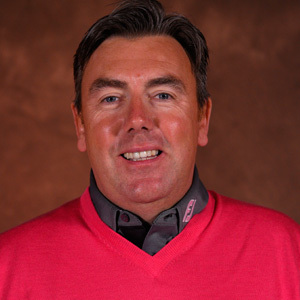 A Scottish PGA Professional born in St. Andrews, Scotland, the Home of Golf, Nairn is a member of the PGA of Great Britain & Ireland and European Golf Teachers Federation. An accomplished player and clubfitter, he captured the Wilson World Pro-Am Tournament at Pebble Beach in 2010 and ’13, and was Ping’s National Club Fitter of the Year in 2004 and Regional Clubfitter of the Year in 2009. The National Golf Club Owners Association awarded Nairn, the 2007 PLAYER Development Award for his work in growing the game of golf. Nairn once served as a PGA Golf Professional at The Gleneagles Hotel in Scotland, site of the most recent Ryder Cup Matches, won by Europe. He comes certified in TrackMan (Level 3), TPI (Level 2), and Ping’s nFlight Fitting Software. Nairn also serves on the Board of The First Tee for Central Florida as Director of Programming www.thefirstteecfl.org and is Chairman of Fairways for Warriors www.fairwaysforwarriors.org. Nairn coaches all facets of the game with a strong emphasis on the short game www.kennynairngolf.com.